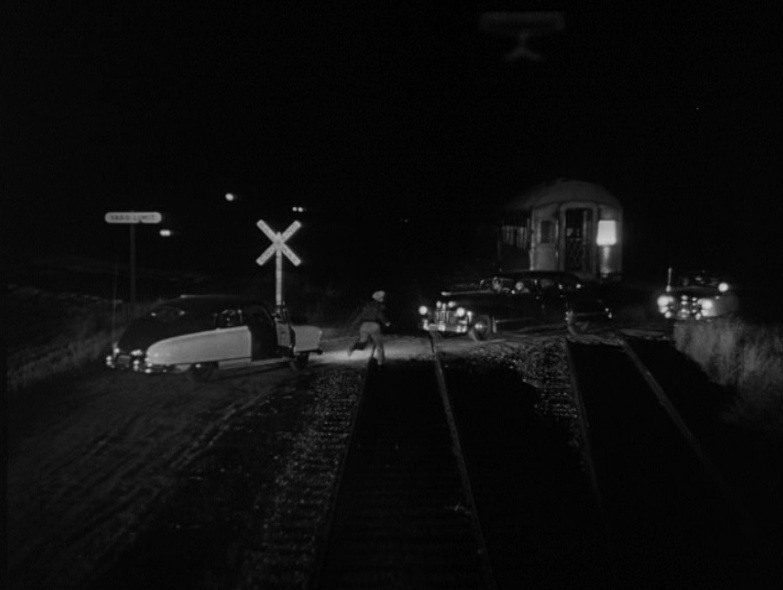 Film Noir on rails! 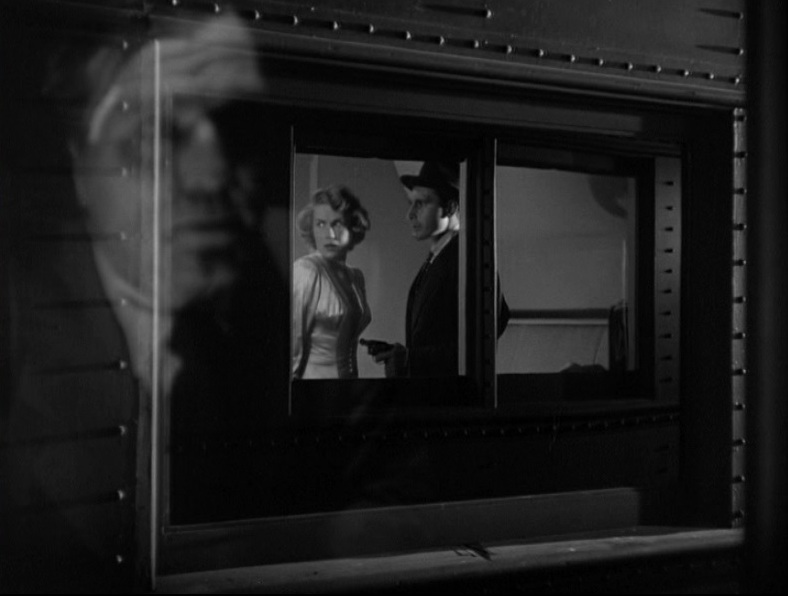 This surprisingly well-done “B” picture tells the story of a Los Angeles detective tasked with bringing a gangster’s wife West to testify before a grand jury. 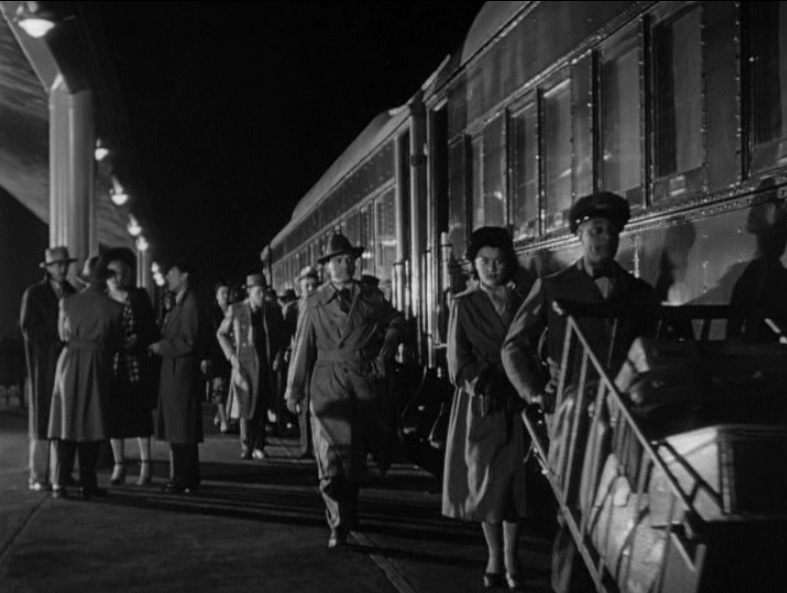 The mob is on to them, so elaborate steps are taken to hide the woman from detection during the overnight train journey. 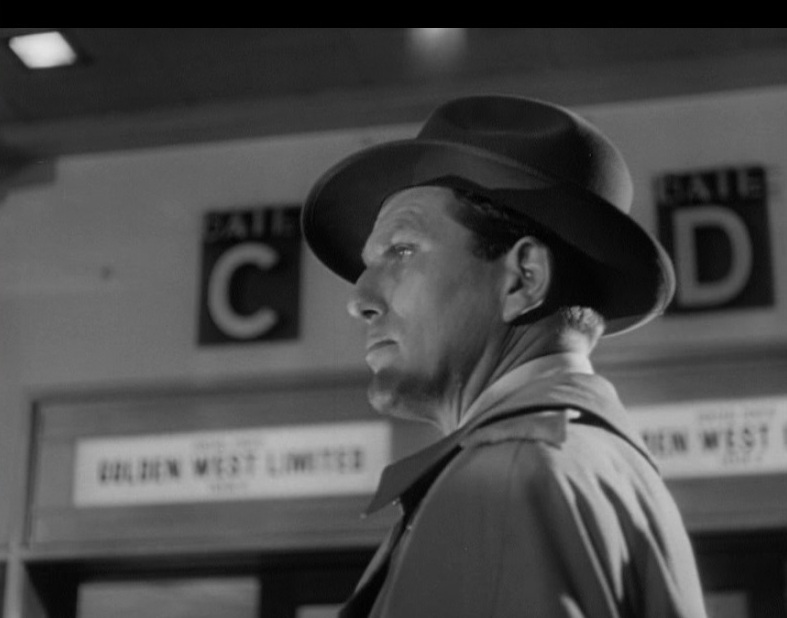 Starring Charles McGraw (Det. Sgt. 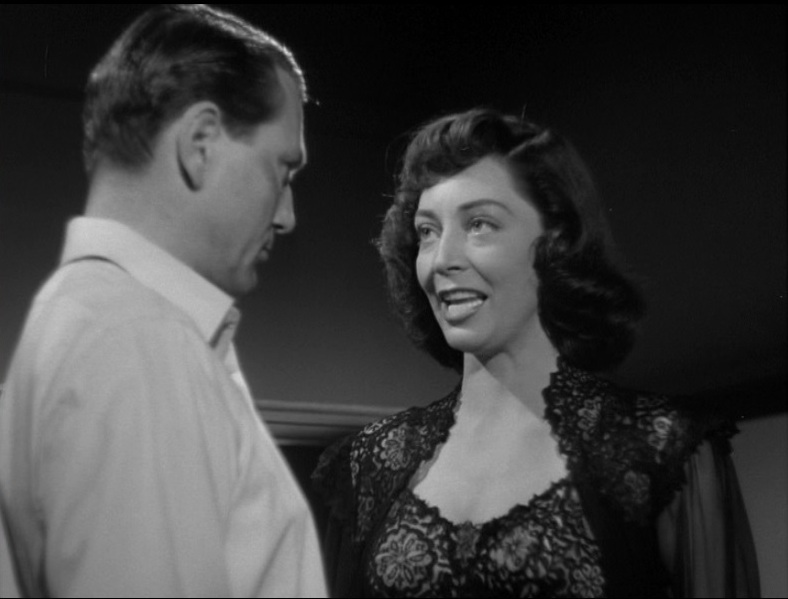 Walter Brown) as the cynical gumshoe, he must ensconce Marie Windsor (Mrs. Frankie Neal) in an adjacent compartment in an elaborate game of hide and seek. The rub? McGraw’s partner gets knocked off early on and Mrs. Neal is a difficult, smart-mouthed shrew. SP 4412 GS2 class 4-8-4 steps out of a tunnel somewhere along Espee’s “Coast Line” between the Bay Area and Los Angeles. McGraw prepares to board “Central Pacific’s”, Golden West Limited at Gates C & D (Track 5); McGraw walks the platform as the train readies to leave Chicago. This picture uses stock footage of exterior train runbys — including a Pennsy K4 out of Chicago (which would be headed EAST, not West). 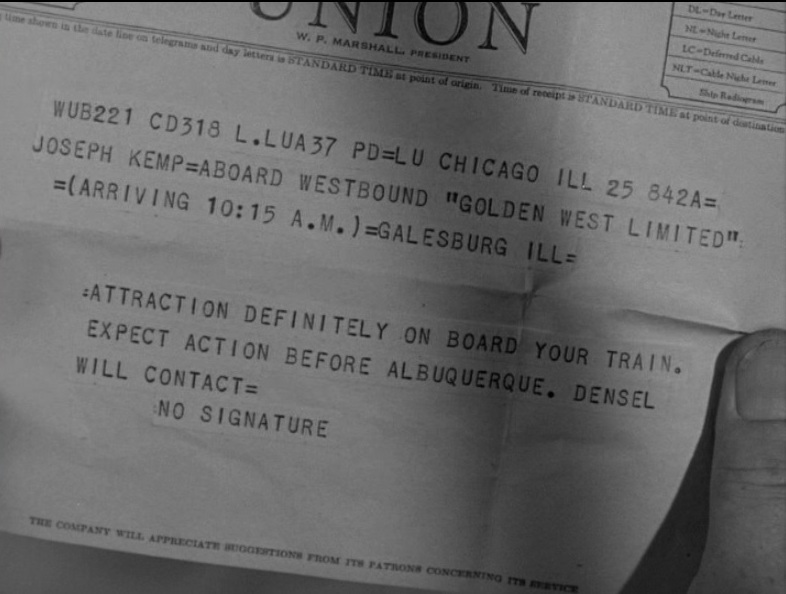 In addition, a 12 minute stop at “La Junta” would have been on the Santa Fe Railway, not SP Lines. 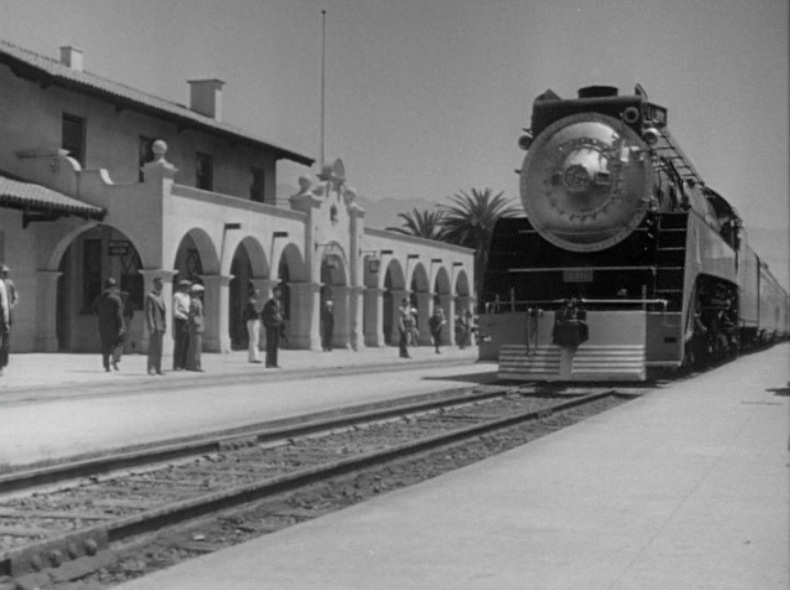 McGraw and Windsor in a compartment onboard; SP GS class 4-8-4 with Daylight train arriving at “La Junta” (Santa Barbara CA depot, actually). Quibbling differences aside, the onboard action is confining, tense and exciting. 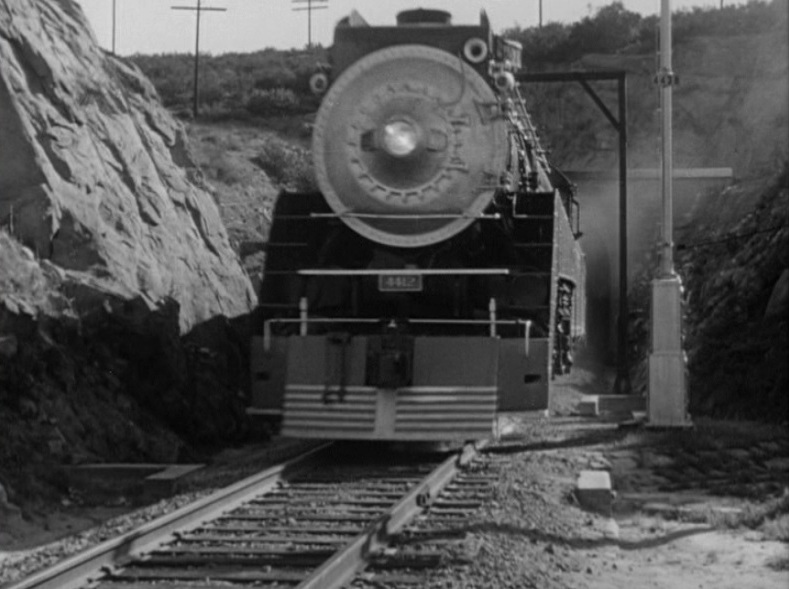 For railfans, there’s a great look at Southern Pacific Railroad passenger operations both onboard and trackside in the early 1950’s. This was how much of America traveled in the postwar era. 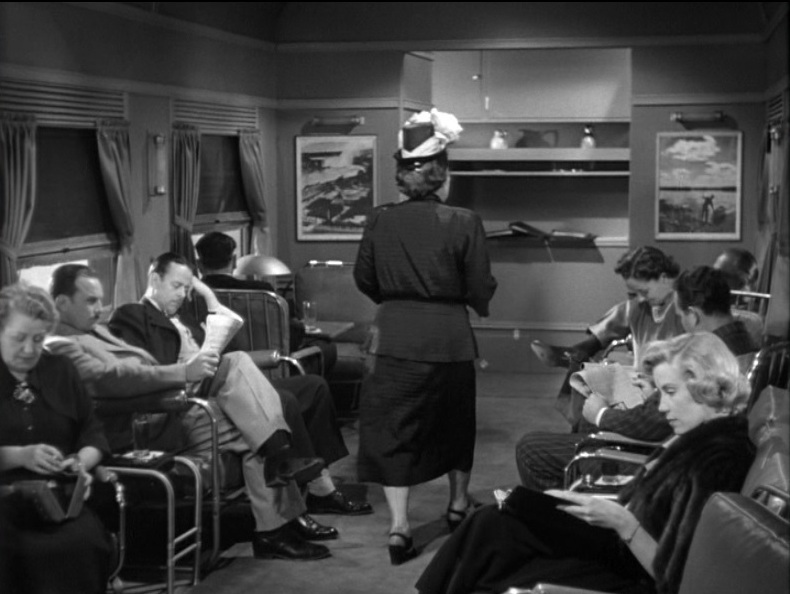 Windsor sassing McGraw; Matron walking through SP lounge car. 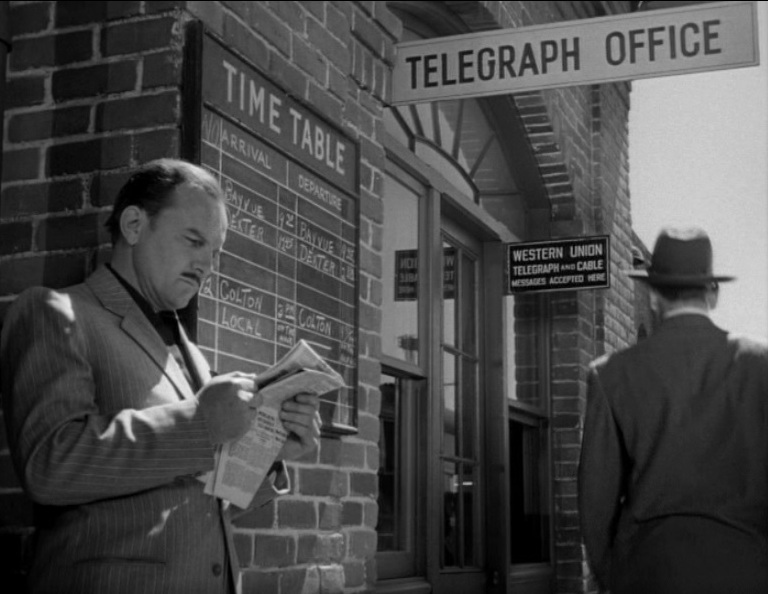 Western Union telegrams figure prominately in the story; Check the Time Table next to one of the bad guys outside the Telegraph Office at the La Junta stop. 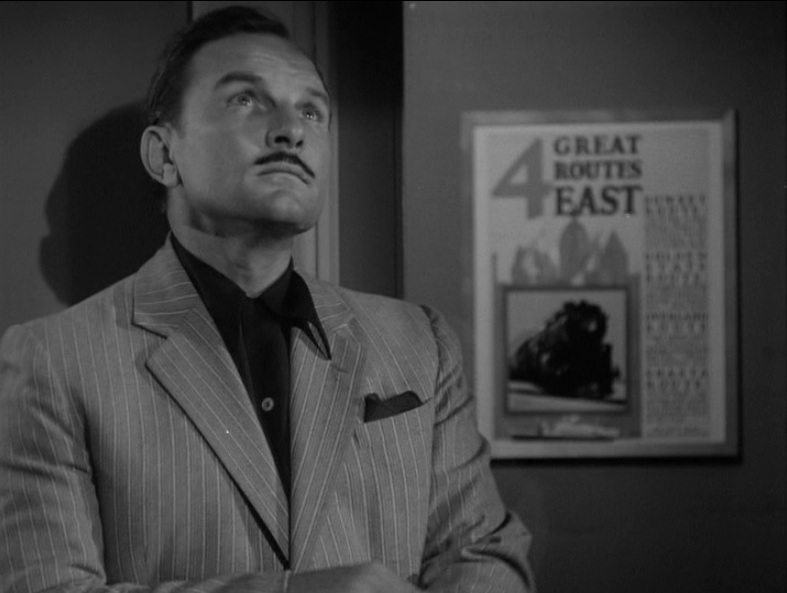 Henchman next to SP “4 Great Routes East” sign (Sunset Route, Golden State Route, Overland Route, Shasta Route); In a ghostly film noir exposure, McGraw watches as hit man holds Ann Sinclair (Jacqueline White) at bay. The cops are after their hot rod Lincoln! 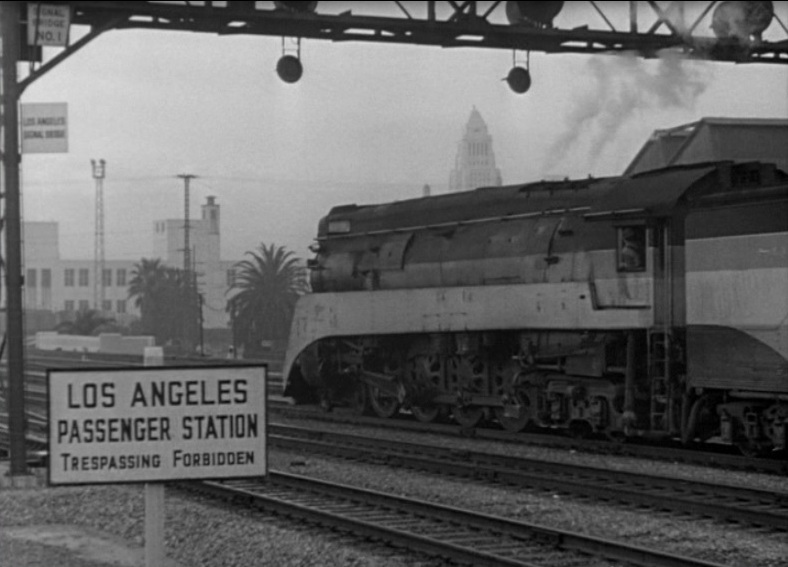 ; Another GS class Daylight locomotive backs into Los Angeles Union Passenger Terminal. 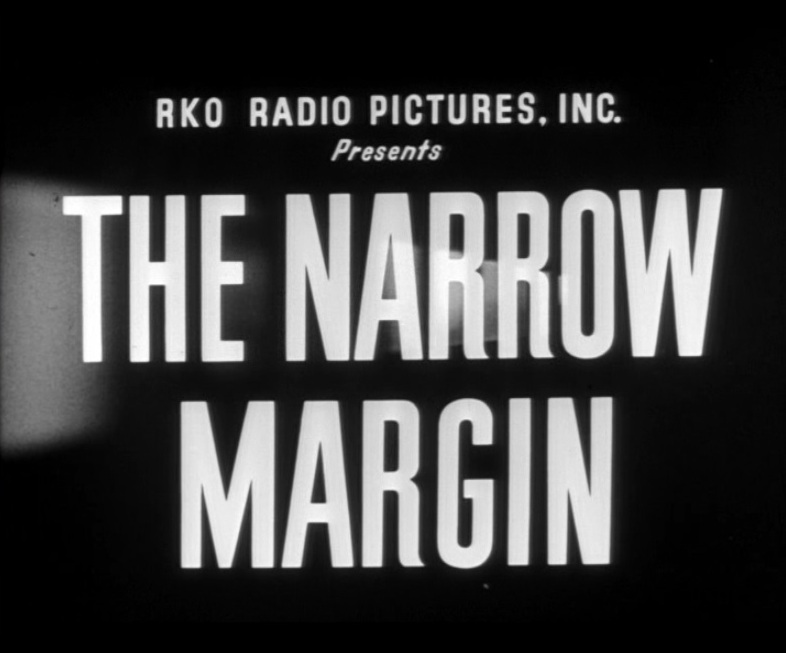 Filmed in just 13 days and on the cheap, The Narrow Margin is an example of film noir at its best. Plenty of red herrings and a twist at the ending will keep you guessing. Enjoy! 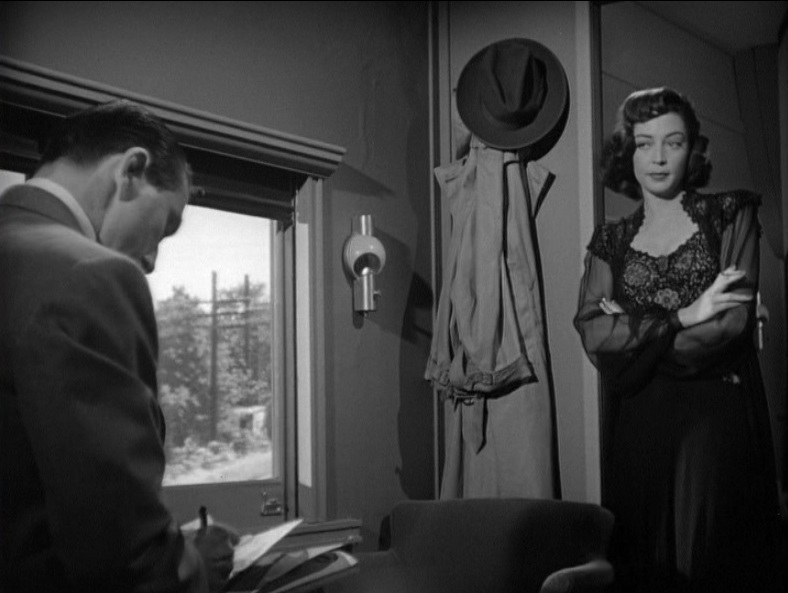 This entry was posted in Uncategorized and tagged Atchison Topeka and Santa Fe Railroad, Film Noir, Jacqueline White, La Junta, LAUPT, Marie Windsor, RKO Radio Pictures, Southern Pacific Railroad, SP Daylight, The Narrow Margin. Bookmark the permalink. A very good movie, despite some flaws. An underrated gem of a film.